A simple and easy Application Launcher. Stand alone, no installation required. Add items (application, file, folder, website) to Launch List setting a unique and easy to remember Launch Name for each item. To launch the item next time type a 2 character Command Code and the Launch Name (no space in between Command Code and Launch Name) in the text box of the main window and press 'enter' key on the keyboard. 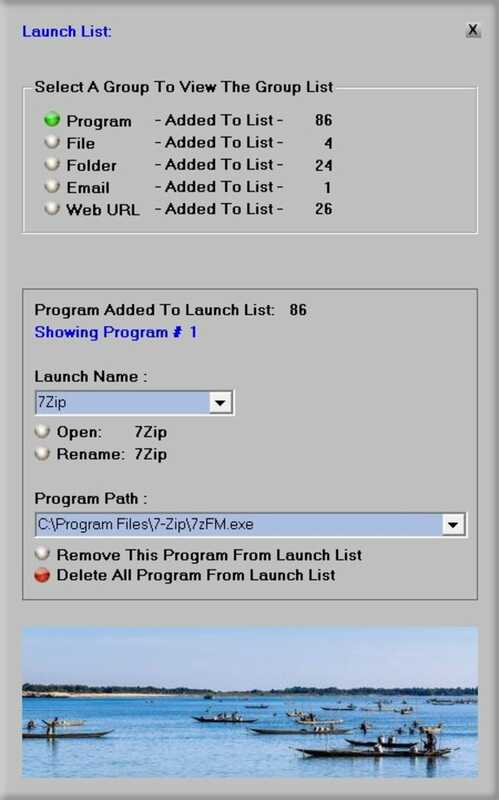 myLauncher has a handy QuickLauncher which can launch a number of items from Launch List just by one mouse click. The program has a few color settings, call it 'Theme' or whatever you like. Though myLauncher has similarity with name and functionality with author's another program, new myLauncher is completely different than the old one. Old one has been discontinued for long time and author is not hosting that any more. Since this new myLauncher doesn't communicate with old one in any way, it can not be used as an upgrade of the old one. What do you think about myLauncher? Do you recommend it? Why?